Prior to 1893 the pitching mound was only 50 feet from home plate. To offset the awesome pitching of Cleveland's Cy Young and Amos Rusie of the New York Giants, the mound was lengthened to its present distance of 60 feet 6 inches. 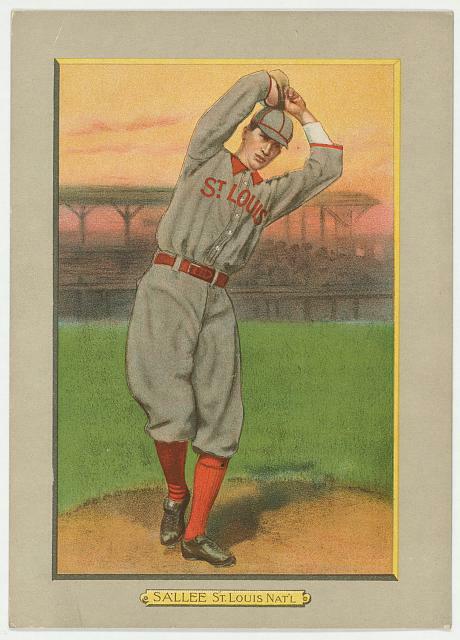 The shorter distance had allowed fastball pitchers to record a huge number of strikeouts, and so then, it is difficult for baseball historians to judge the best pitchers of the 1880's by modern statistics. But both 'Hall of Famers' Young and Rusie's numbers improved after the above pitching change. Even though this was still the 'dead ball era', when the pitching mound was lengthen batting averages soared. In 1894, the Philadelphia Phillies had a team batting average of .349 and Boston's Hugh Duffy hit .440, the all-time major league high. It took a few years before pitchers developed and became masters of the curve ball, changeup and spit ball, which was legal during this era. Baseball fans loved the longer distance and tricky new pitches and flocked to their hometown ball parks to see the ball actually curving sideways. Over the course of professional baseball's history many changes have occurred to make the game more lively and keep the fans coming through the turnstiles. The 'dead ball era' passed long ago bringing in the 'lively ball' in the mid-1920's. The pitching mound was lowered after Sandy Koufax of the Dodgers and Bob Gibson of the Cardinals dominated baseball in the 1960's and early 70's.